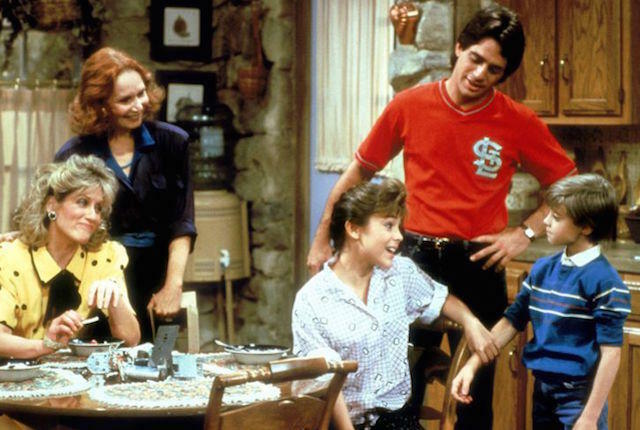 If you grew up watching Who’s the Boss, you probably remember once specific really awkward coming-of-age episode where Tony (played by Tony Danza) went bra shopping for his daughter Samantha (played by Alyssa Milano) bra shopping. Tony was a single dad, so Samantha was obviously used to doing everything with him — but she had never had him bring something home for her as personal as a bra. A bra is a super embarrassing thing for any tween to shop for, let alone having it come from her DAD. We remember feeling her pain through our TVs. But it was also embarrassing for Milano who had to play the part during her own awkward developmental stage. Judith Light, who played Tony’s employer Angela, added her memory of the episode. Even though the show was wildly popular, Milano remembers feeling embarrassed when people would call her out for the bra episode — which we understand completely. We will always remember Milano as Jennifer Mancini in Melrose Place and Phoebe Halliwell in Charmed. But in our hearts and minds, she will forever be Samantha Micelli from Who’s the Boss?.